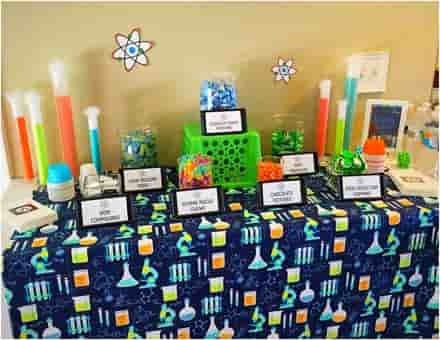 It’s cool to celebrate your little one with science at their next birthday party! Let’s doing experiments, mixing things up, making hypotheses as well, and then following up with analyses. 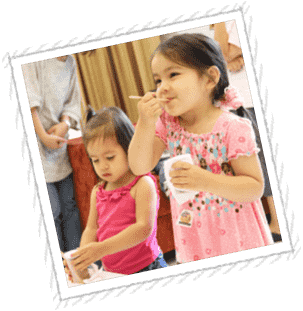 Now it's time to get them a Science Exploring birthday party! 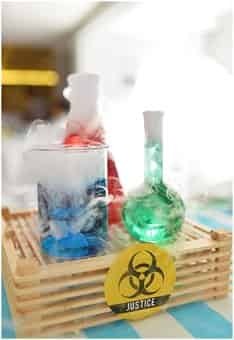 In addition to science party invitation, decoration, food and favor ideas, we've offered a list of popular science experiments children of all ages will enjoy. 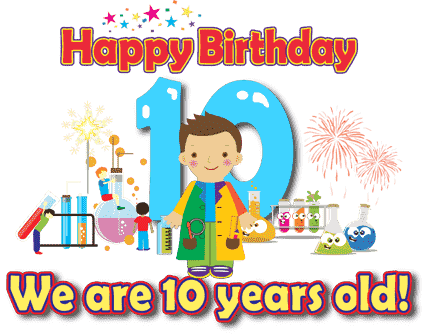 The Science Explorer has been in the kids’ birthday party business for more than 10 years and is still growing fast. We insist to provide best service to our customers. A lot of science birthday parties had been done in different area in Hong Kong. Please see our breathtaking birthday parties at Gallery. 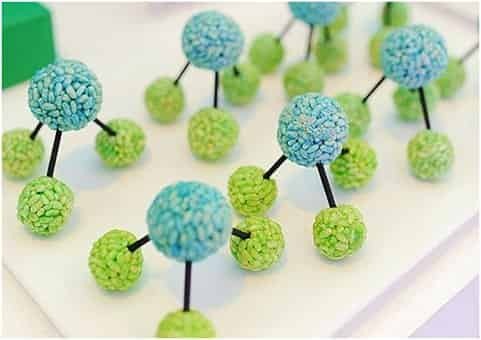 Molecular Fruit: Attach grapes and blueberries together with toothpicks so that they look like molecule chains. You can also use a scooper to scoop fruit such as watermelon honeydew or cantaloupe into balls. 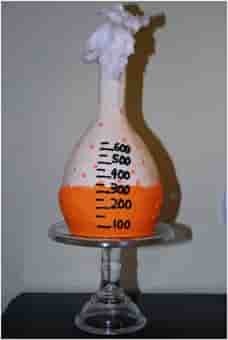 Beaker Soda: Prepare soda drinks in clean, new beakers or test tubes. Green soda like lemon lime fruit juice would look perfect with a gummy worm draped over the side of the beaker! 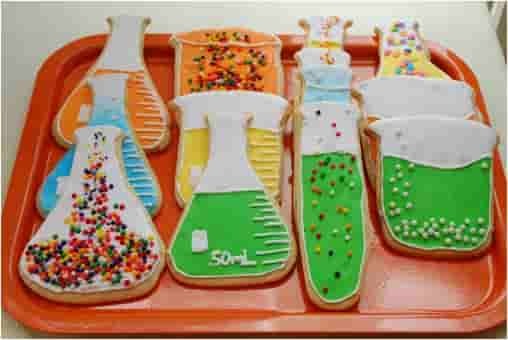 Element cupcakes: Make cupcakes for your little scientists. 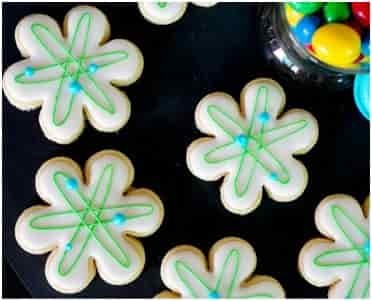 Decorate cupcakes with periodic elements. 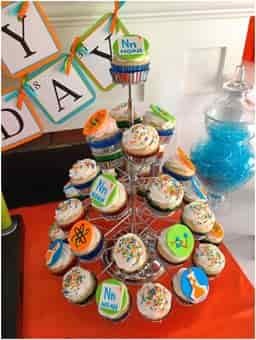 Use black piped icing to write symbol of common elements like Fe (iron), Cu (copper), Ca (calcium), O (oxygen), H (hydrogen), C (carbon) or Cl (chlorine) etc on the cupcake and so each cupcake will have periodic element abbreviations! 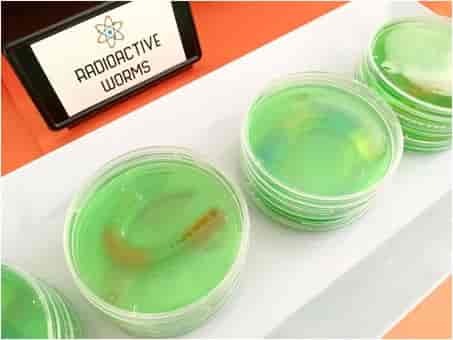 DNA jelly: Gummy worms in a petri dishes filled with jelly is gross looking but perfect. 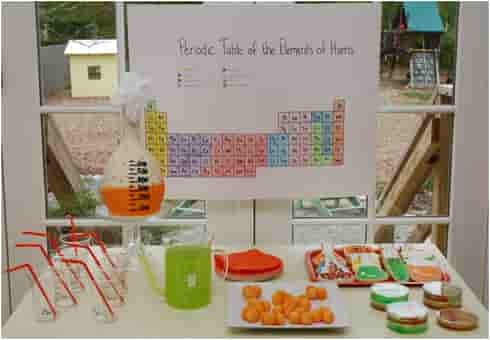 Periodic table cloth: Having a periodic table as table cloth makes the environment looking scientific!!! Weird bubbling liquid: Dry ice in a beaker filled with colour water. It looks some weird liquid boiling and going to blast!!! 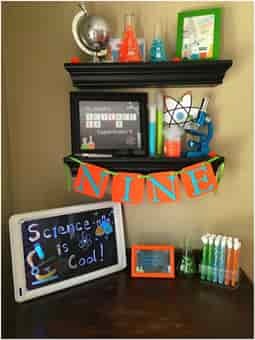 Science corner: Decorate the corner with science stuffs like plastic microscope, conical flasks, science pictures of atomic sign etc. 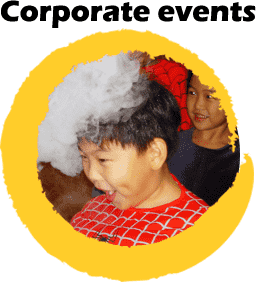 Are you thinking of your kids party in Hong Kong? 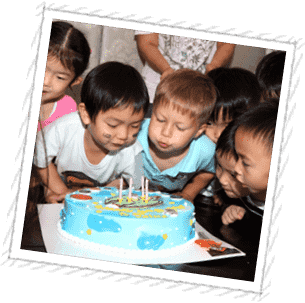 Whether it is a first birthday party, boy’s birthday party, girl’s birthday party or milestone birthday party, we have some cool ideas and suggestions for your reference. 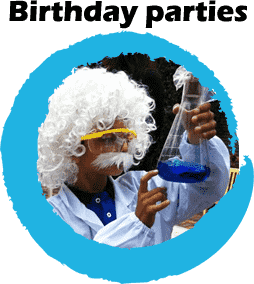 You may create your own invitation card and banner, but it's always easy to get a special designed science birthday party invitation card and banner for your little scientist at Science Explorer. 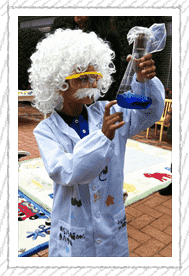 Put your lab coat on and get ready to discover.... a birthday party for a true science lover! 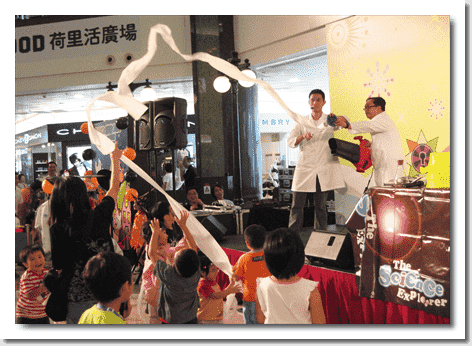 So come to join our science shows and hands-on experiments and have fun too! 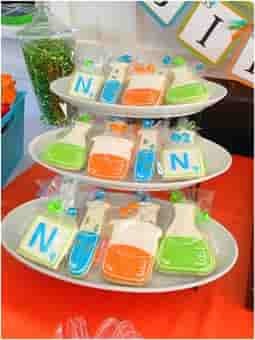 It's cool to celebrate your little one with science in his/her birthday party! Let's doing experiments, mixing things up, making hypotheses as well, and then following up with analyses. Now it's time to get them a Science Exploring birthday party! 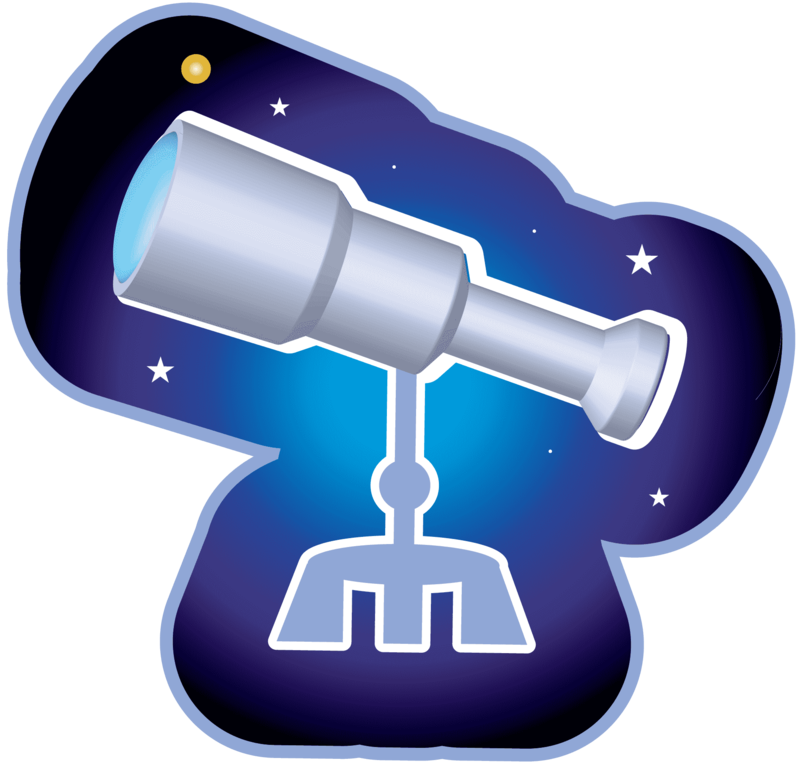 The Science Explorer has been in the kids’ birthday party business for more than 10 years and is still growing fast. 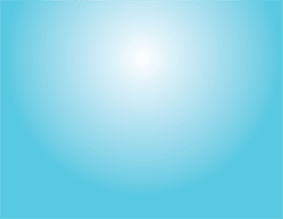 We insist to provide the best service to our customer. 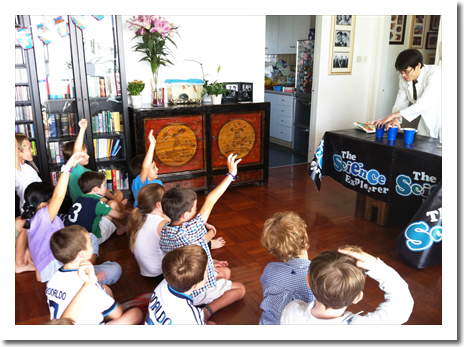 A lot of science birthday parties had been done in different area in Hong Kong. Please see our breathtaking birthday parties at Gallery. 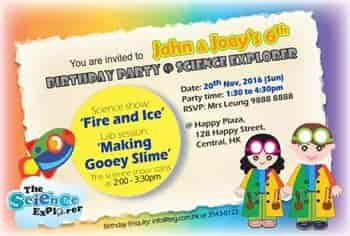 Apart from holding parties, we are happy to provide softcopy of special science birthday party invite and banner for free. 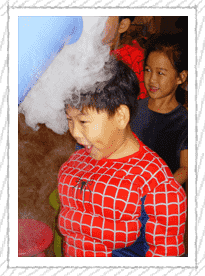 A Science Exploring Birthday Party consists of two parts: A science show and a lab session. Science Explorer birthday shows are 30-minutes long. 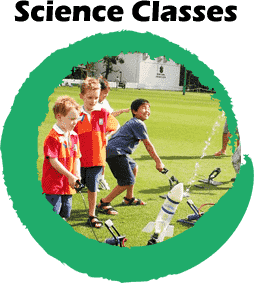 They are designed to be highly interactive and engaging with an aim to ignite children’s interest in science. 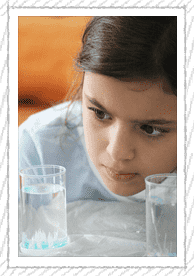 Children learn about the scientific process, the importance of it and how to make independent judgments using the scientific method. Fundamental science concepts and key words will be introduced. 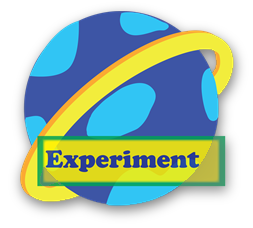 Science Explorer will provide all special materials and equipment needed for the demonstration. project that they can take home. It will take approximately 45 minutes to 1 hour. All special materials and equipment will be brought to the venue. 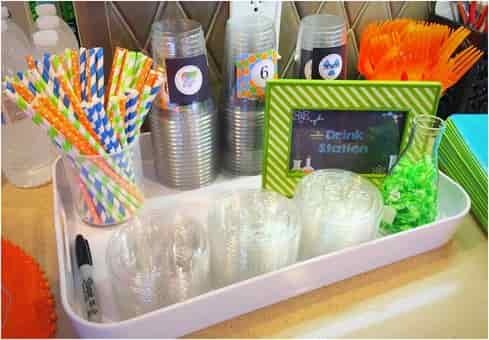 Simple facilities are required for the party such as table, wall power and water. Around 150 to 200 sq ft is big enough to entertain 25 kids. They will gather in front of the table to enjoy the show. No chair is needed. In the lab session, if 1 to 2 more tables ready would make perfect. Please send us your message to info@teg.com.hk for more details.